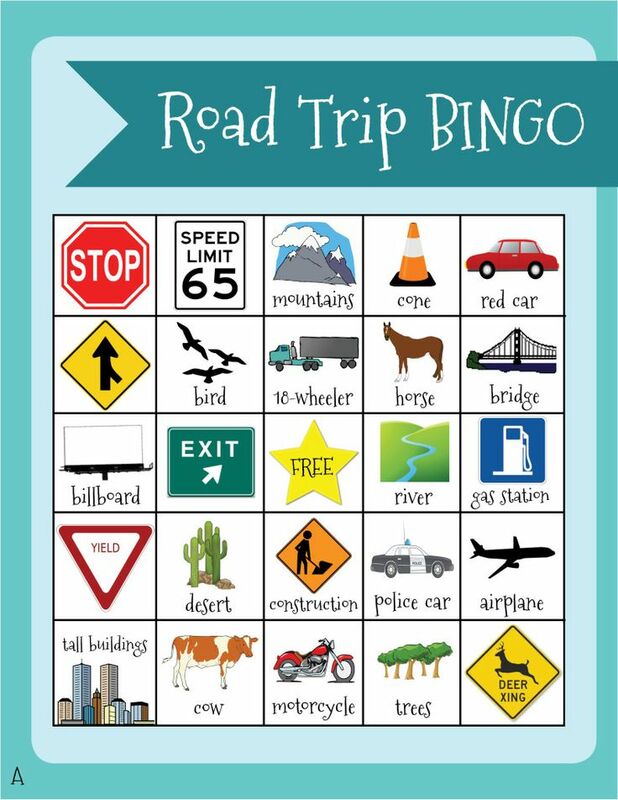 Road Trip Binders are the perfect way for kids to be entertained in the back seat during a long trip, plus they are simple and fun to make. You can adjust the content in the binder to ages and interests. Tip: Put your papers in plastic sleeve protectors. Kids can draw on them with dry erase markers, and you can simply erase them with a paper towel. 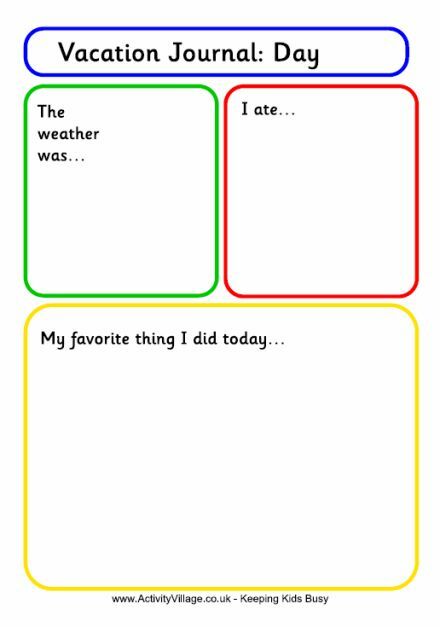 Your kids can use the printables in the binder over and over and over again! Edith’s Take: This summer the library was doing a summer reading program. The summer reading program is where you get a punch card, every time you checked out material, you got a punch. Once you got ten punches, you could pick out a free book and you also got entered in a monthly raffle. The program was for adults, teens and kids. I had so much fun with the program I filled out 4 punch cards. I also won one of the raffles in which the prize was a bundle of Sherlock Holmes themed stuff and some candy. Even though winning was a lot of fun, the program itself was a lot of fun. It was kind of like a fun challenge to try to check out and read as many books as possible. I think it was especially good, because it got kids who would have otherwise not read the whole summer to read! I am hoping they do again next year! Edith’s Take: A couple of days ago, I took a class at the library on repurposing books, the class was a lot of fun, they took old books from their donation pile and brought in crafting materials such as “washie tape”, ribbon and glitter. They also brought in old magazines and photos for us to cut out and use on our books. What I really liked about this program was that there was no right or wrong to this program and it inspired others to be creative! For the front cover of my book, I put a variety of different colored washie tape! It took a long time, but it turned out really cool! For this page I cut out pictures of milkshakes from a recipe book! It was really fun! Edith’s Dad’s take:. When Edith brought her repurposed book home, I thought it was really neat! We talked about the many useful, interesting, and artistic ways to recycle old books. Fun! Little House on The Prarie is one of the best books I’ve ever read and I think almost everyone would be in agreement with me. If you have not read the series: READ IT NOW!!! It’s about a family going west to find a home [ it is a true story of Laura’s life] and the struggles they had along the way. The main characters include Ma, Pa, Larura, Mary, Carrie and all the main people in the town (and later on ALmonzo and Grace and Adam). The book series contains quite a lot of books, at least five long ones. This a book series you should add to your collection now! Edith’s Dad’s take:. We made sure Edith grew up being read, then reading, Laura Ingalls Wilder’s set of books covering the early years of her life. 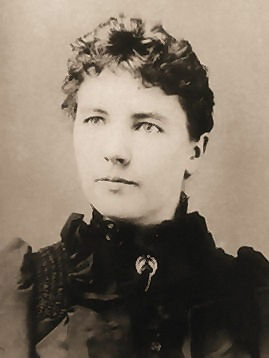 Lesser known could be Farmer Boy and West From Home: Letters of Laura Ingalls Wilder, both worth including in a young person’s reading list. West From Home will be appreciated more by young adults. Though I enjoyed reading all of the books in the series, West From Home stood out for me because the content of Laura’s letters reflected the enormous change she experienced during her lifetime. Imagine growing up in a sod house with no plumbing or electricity, but traveling later in life to the 1915 “World’s Fair” and observing automobiles that carried passengers about and airplanes in flight (Actually, it really wasn’t the “World’s Fair”, but the “1915 Panama-Pacific International Exposition”, which has it’s own fascinating history.). Edith’s Take: Ocean Wide, Ocean Deep (as I call it – If by sea – but that is not it’s real name!) is a slightly “dark” story about a girl who’s father goes off to the China Trade and is gone or a year. She waits for him and the book is all about her fears and worries for her father. At the end, she is over-joyed to see her father at last who brings home all kinds of things from the China Trade (jade, furniture etc.). I hope you enjoy this book as much as I.
Edith’s Dad’s take: Ocean Wide, Ocean Deep is an intriguing book set in 19th century Cape Cod. Raul Allen sets the mood and tone of the book through his artistic illustrations. A good choice for discussing the maritime history of New England, specifically the transition between whaling and the opening of the China trade. Edith’s Dad’s take: Edith has enjoyed the Who Was/Is series published by Grosset & Dunlap. Marketed to young adults, these books are biographical in nature, and provide context to the lives of the well-known and events in history. For the most part, they are well-written, interesting, and provide younger readers with some factual information. We have often used these as a basis for book reports in our home school curriculum. Edith’s Take: The Who Was/ Who Is? series is one of the best children’s books ever published, they talk about real people and events. Just some of the series includes “ Who Is Jane Goodall?, “Who Was Milton Hershey” and “ Who is Hilary Clinton. Colorful covers and exciting text makes this book great for children! The reading level is anywhere from 4-6 grade. They are great for first time biographies! They also have “Who Is” journal for kids to write their own autobiographies! “ You are never too old to read a good children’s book”. Edith’s Dad’s take: McCloskey was a talented writer and illustrator. Wonderful stories, one of my favorites growing up was One Morning In Maine – I could spend hours just looking at the pictures. I still can. I agree fully with Edith’s motto. Dada’s take: This beautiful volume is one you want to add to your collection. All the Places to Love (1994, Harper Collins). Author Patricia MacLachlan weaves a short story that eventuates the connection between family and the family farm. 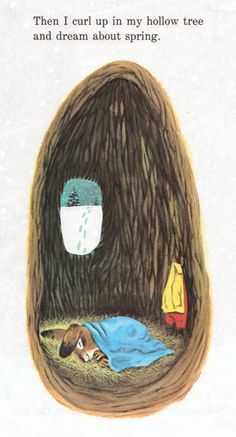 The work of illustrator Mike Wimmer is stunning – few books reflect such a harmonious connection between author and illustrator (Good Night Moon comes to mind). Edith’s take: A story about a husband and wife and their two children. The illustrations are magnificent and I loved the story! It told just how much the family loved every new edition to the family. Patricia Maclachlan did a wonderful job on this story and I would recommend getting it! Edith’s take:. Richard Scarry is what you would call a literary genius. Richard Scarry was worn in 1919 in Boston Massachusetts. His brilliant (and humorous) books often including cute and zany illustrations of animals, and the humane-like life they lead. For hours any child could flip through and stare at the amazing illustrations and giggle at the fun, wacky, zany and crazy stories. My personal favorite in the series is Busy, Busy World, containing several stories about animals around the world. When my dad was growing up, he wanted to be just like Nicholas from I Am A Bunny (his favorite Scarry book), I mean who would not want to be Nicholas? He has no one (and no parents) to bother him, not to mention the fact that he could stay in his “house” all day and sleep in and he did not have to go to school or anything, if you ask me, that bunny’s got the right idea. Edith’s Dad’s take:. When I was in first grade, my classmates and I were given an assignment to speak to the class concerning what we wanted to be when we were older. My classmates chose the typical professions – doctor, lawyer, police officer, firefighter….while I announced that I wanted to be Nicholas from I Am a Bunny. Edith’s Take: Roll Of Thunder Hear My Cry gives an interesting perspective on racism. You don’t think of it often, but children often have to deal with racism too, it is unfortunate to think about but also true. When you are a young child you don’t understand what racism is and why it happens. It is not until you are an adult that you begin to fully understand it. The book won the 1977 Newberry, and I would say that the book deserved it. The author, Mildred D. Taylor, does a good job of explaining a child’s perspective on racism, and adding in a touch of humor and also some drama into her writing. Edith’s Dad’s take:. Roll of Thunder Hear My Cry was required reading when I was in school, I sure hope it still is. This is an important book, a deserved winner of the Newberry Award for 1977. Edith’s Dad’s Take: It will come as no surprise to those of you who know us that we find nearly every work, literary and artistic, of Eric Sloane’s inspirational. Eric Sloane, N.A. (1905-1985) was an incredibly talented artist and author who chronicled much of early American life and culture. His personal journey to becoming one of the world’s most successful artists is fascinating. One of the books Eric wrote that we find particularly interesting is Eric Sloane’s Diary of An Early American Boy, which chronicles part of the year in the life of one young Noah Blake. Noah had written a diary in the year 1805, a diary Eric found more than 150 years later and turned it in to this classic book for young adults. Edith’s take: Other than an artist and author, Eric Sloan was an inspirer, perhaps not to all, especially those who are not educated in the wonderful works of Eric Sloan. Part of the reason he is an inspirer [to me anyway] is his dedication to learning all about life in the early American days. He could tell you just about anything about the clouds, sky or [of course] early America. You don’t have many people who have/ are researching about early America. And once you stop and think about it, it is really very cool and must have took some serious dedication. This book is an interesting nexus between our interest in, and admiration of, Charles Lindbergh, Mike Wimmer, and Eric Sloane. Wimmer, you may recall, was the illustrator of All the Places to Love, a lovely book we detailed earlier in one of our inspirational posts. Flight is likewise illustrated by Wimmer. Edith, holding a copy of Flight, with Eric Sloane’s Alone in the background. Those of you who know us know that Edith and I are great admirers of Connecticut artist and author Eric Sloane (1905-1985). So much so that many years ago I wrote a biography of Eric and the forces of fate brought me to buying, selling, restoring, and authenticating Eric’s works. It has been a fascinating and rewarding journey. Pictured, from left: Jimmy Doolittle, Eric Sloane, and Neil Armstrong at the National Air and Space Museum in Washington, D.C. Note the Spirit of St. Louis in the background. The painting is the original of Alone, perhaps one of Eric’s most visually stunning works. In it, the Spirit of St. Louis is so small as to be nearly unrecognizable, while the clouds appear very large and ominous towards their bottoms. It truly conveys the reality that, in every meaning of the word, Lindbergh was really on his own. Flight by Robert Burleigh, is now probably my favorite children’s book. It was illustrated by Mike Wimmer, who was also did the drawings in “ All the Places to Love” (we wrote a blog post on “ All the Places of Love” – you can read it here.). It is a story of Charles Lindbergh. Charles flew the “Spirit of St. Louis” in 1927, he was going to fly from New York to Paris, France!! This was over 3,600 miles and HE WAS ALONE!!! With little experience of how to fly and instead of having a parachute and other safety gear, he had fuel. He packed 5 chicken sandwiches. He did not know how long it would take him, no one had EVER done it before, much less alone. Not many had ever really flew a plane anywhere near that far before, there were no gas stations for planes or food marts for him to fly into. And mind you, you have to be alert and driving the plane the whole way, no breaks!!! You are going across ocean most of the time! 33 hours in all! Wow! Owl Moon by Jane Yolen, illustrated by John Schoenherr. Edith’s take: This enchanting book is about a boy and his father going owling near their farm one night. This book is meant for kids, however my dad and I have found many books that are for children that are more interesting then young adult books published today. They are often full of violence, fantasy and the like. Jane Yolen and John Schoenherr use exceptional writing and illustrating talents to shape this interesting and well written fiction book. Edith’s Dad’s take: The illustrations by John Schnoerr are really the stand out feature for me. The story is well written, charming throughout, and ends on a poignant note. Anyone who has ever enjoyed a walk in the woods on a winter’s night will immediately recognize the illustrator’s talent. It comes as no surprise that Owl Moon was a Caldecott medal recipient for 1988. Edith’s take: We decided to feature two of our favorite books by Elizabeth. ” The train to Lulu’s” and ” Lulu’s Birthday”. Each as you probably can tell is about a woman named Lulu who has two young grandchildren who are different in each one. In “The train to Lulu’s” two kids, both girls, one younger and the other older, both probably under the age of ten, riding a train to their grandmother. In “Lulu’s Birthday” two kids, one a boy and the other a girl, plan a surprise birthday for Lulu and invite the whole neiborhood! Each have their equal amont of fun! I definitely recommend this to children of all ages. Edith’s Dad’s take: I remember fondly Elizabeth Fitzgerald Howard, or “Betty” as she was known to our family. Growing up in Pittsburgh, I recall thinking that she and her husband were perhaps the most elegant couple I knew. Their daughter Laura was a vivacious girl who was fast friends with my sister. Later in life Betty and her husband loved next door to my parents, not a coincidence given their friendship. Shortly after Edith was born, Dr. Howard began giving Edith some of the books she wrote, inscribing each. Dr. Howard’s personal journey and her writings are inspirational and her wonderful books are most deserving of adding to your library. Edith’s take: This is a creative book about the wonders of numbers. This is the most complex children’s book I’ve ever read! They talk about different ways numbers are resembled and how they are used. The ilistrstrations are beautiful and the most interesting part of the book to me. We found it, of all places, at the Union County Library System book sale. Its amazing what you can find there for both adults and children!! Edith’s Dad’s take: For many reasons, probably the most significant being plain old commercialism and the “need” to buy the latest, we gravitate towards new books to find our information and a novel and “modern” presentation of that information. This isn’t to discount modern takes on an ancient subject like numbers – some more recently published works are excellent (shout out to you, Greg Tang). I found I’ve Got Your Number, John (1965) by Olive S. Berg to be a “classic standout”. It would be worthwhile to track this volume down, as the author explores numbers and the uses of numbers in a fascinating manner, one that must have caused a bit of a stir in 1965 and would, I’d venture, cause a stir in mathematics classrooms across the country today. Once you get past the initial issue with the title’s grammar, I’ve Got Your Number, John is an important book to add to your library. Edith’s take: A poem about a man reflecting back to his plain and simple childhood, running, jumping and exploring in bare feet. The poem was originally written by John Greenleaf Whittier, but was latter edited and illustrated by one of John’s descendants, Lisa Greenleaf. The illustrations are amazing and the book is very well written. It has almost the look and feel of a book about an Amish boy growing up, but it is a book about a boy growing up in the 1800s (John Greenleaf Whittier) . If you did not know that you might be fooled. This is certainly a book I recommend to children and adults. Edith’s Dad’s take: This is a wonderful book for the young and young at heart (or at least, those that should be), that presents anew John Greenleaf Whittier’s The Barefoot Boy. This is a charming volume, complete with a short biography of Whittier. Whittier’s poetry is really a moving account of how childhood is such a wonderful, yet fleeting, time in a person’s life. He is, through his written word, writing admonitions, encouragements, and advice to his younger self. The illustrations by Whittier’s descendent Lisa Greenleaf are striking and compliment very well the text. Worth adding to your collection, publisher’s website here. In October he backed his ox into the cart and he and his family filled it up with everything they made and grew all year long that was left over. Then he walked home with the needle and the knife and the wintergreen peppermint candies tucked in the kettle and in April they sheared the sheep, spun yarn, wove and knitted, and the geese squawked in the barnyard, dropping feathers as soft clouds. The book was winner of a Caldecott medal in 1988. It certainly deserved it! It was also on ” Reading Rainbow”, a TV show for kids when i was little. Im not sure if they still have it, as I saw it around 2008. ” Reading Rainbow” was a wonderful program that explored children’s books and talked about them. I think both Donald Hall and Barbra Cooney [ illustrator of the book] deserve a huge round of applause for this amazing book. It is difficult to imagine a more beautiful or satisfying picture book than Ox Cart Man. Edith’s take: This is a book series about various people during famous events in history or different things that happened in past times. Although the books are fiction you can learn a lot from them- my favorite title in the series is: Standing in the Light The Captive Diary of Catherine Carey Logan. 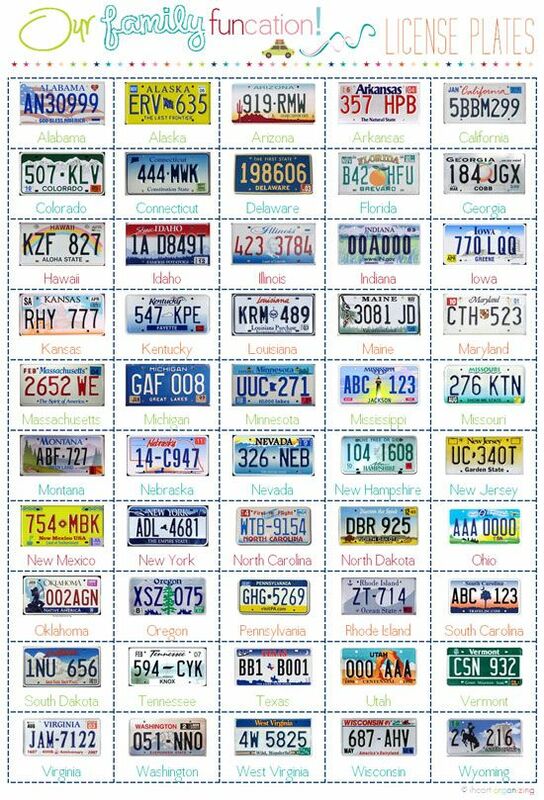 They can be used for Social Studies in school and a good idea for homeschoolers (like myself!). Each book is a pretty long read, about 180 pages in each book. It is amazing how many books are about events that happened in Pennsylvania. The reading level age group I would say is anywhere around 5th grade- 7th grade, an advanced 4th grader could probably read it too. The first one I ever read was in 5th grade at a local book club. The format of the book is several paragraphs that are diary entries, each one is about the equivalent of a normal book chapter (the book is not set in chapters, instead by diary entries). The pages of the book are purposely torn at the ends of the pages to make it look “old”. This is definitely a book series to add to your collection or to your child’s collection! Edith’s Dad’s take: I am not sure how comfortable I am with the concept of historical fiction, but I’ll play along with Edith’s choice here. And, more importantly -full disclosure – I haven’t actually read one from cover to cover. Perusing Edith’s copy of Standing in the Light makes a compelling case for including these books in our daily blog. I think that a forward that explains historic fiction and the purpose(s) it serve(s) would have been an important addition to this (and presumably the other) volume(s). I can’t imagine it would deter potential readers; quite the contrary, I believe younger readers would respect the honesty that should be due to them. The Life in America segment should, in my opinion, be removed to the front of the book instead of hidden away towards the back. This section provides a fairly accurate account of the historical backdrop to the story, including some very good contemporary etchings, a copy of the flyleaf of the captive narrative of Mrs. Mary Rowlandson (1682), and some informative pieces on the Lenape People (all of which figure prominently in Standing in the Light). Concerns aside, I trust Edith’s judgment concerning the quality of the book. This is pretty heavy stuff at times, but very, very compelling. Readers should have a good understanding of the historical context of the story before reading to get the most out of them.